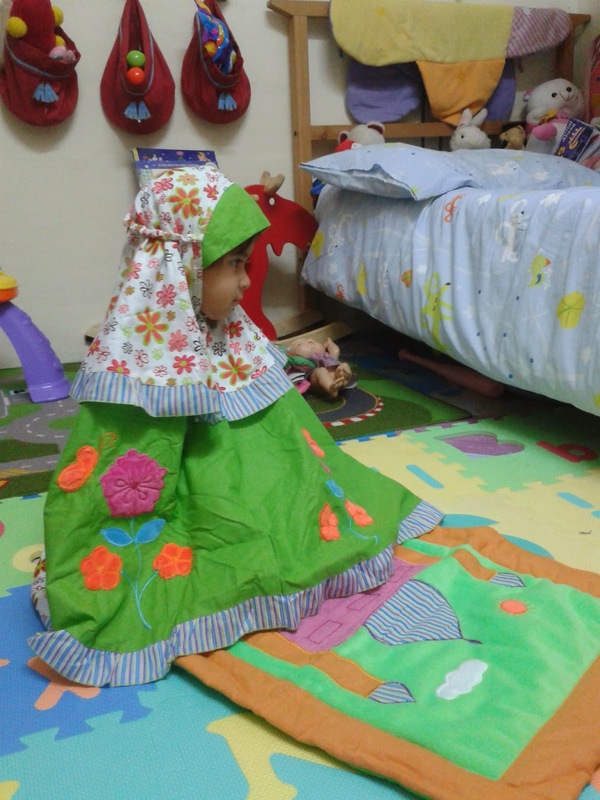 You know Aulia', at this age she's really like a sponge that absorb anything..it is really up to us to provide the good things for her to learn. 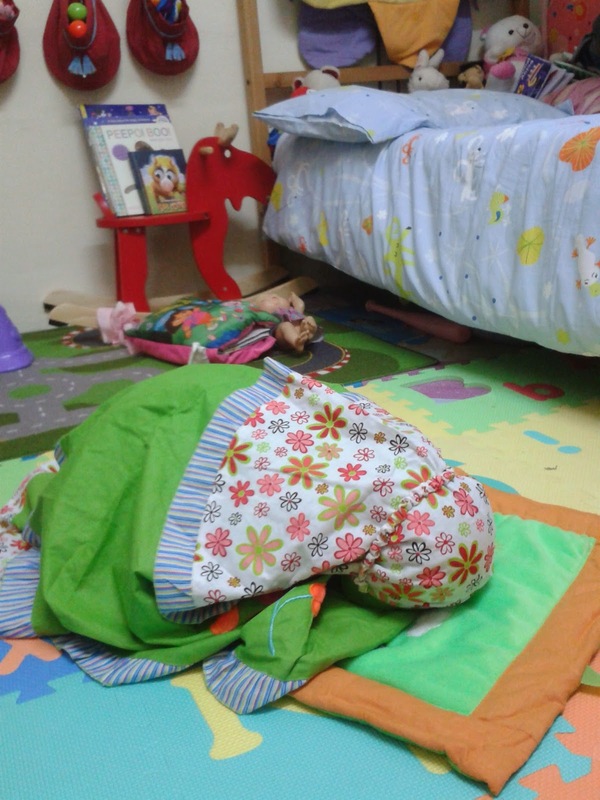 Several months ago, we teach her to recite du'a before eating.. Alhamdulillah, she can now recite the du'a without us reminding her each time before eating . . I really thanked my husband for that. He constantly shows our daughter the right example for her to follow. 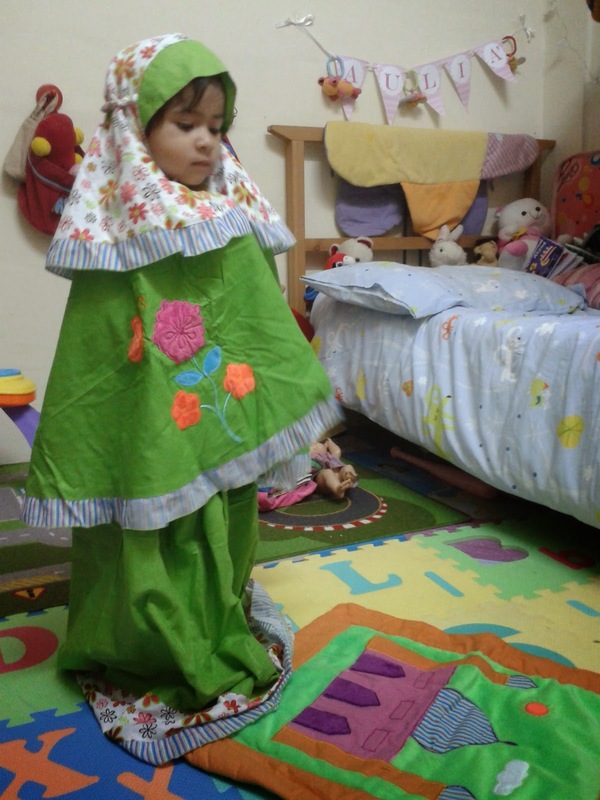 While I think it is way too early for Aulia' to learn about Namaz, my husband on the other hand said Aulia' will eventually learn from our act. 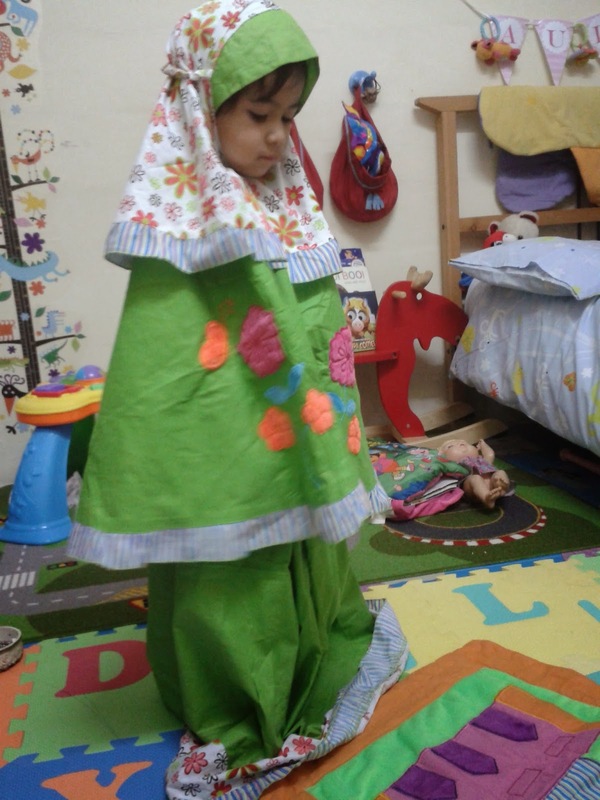 If we show her the example, she will follow us... and that's what she showed us the other day and we were quite surprised she wanted to wear the telekung this time around. 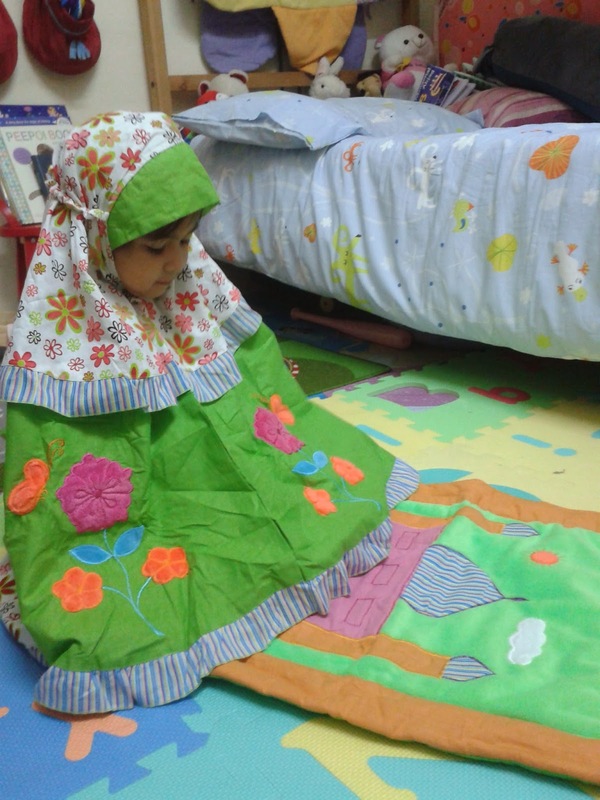 We showed her the basic steps so that she can follow us starting from Takbiratul Ihram..
Recite Al Fatihah and Ruku'..
We shall pray and hopefully Aulia' will become istiqamah in doing her prayers and In Sya Allah we will introduce to her the Iqra' when she is ready. "Upon death, man's deeds will stop except for three deeds, namely: a continuous charitable fund, endowment or goodwill; knowledge left for people to benefit from; and a pious righteous and God-fearing child who continuously prays to Allah, for the souls of his parents" - Muslim.